Red Velvet's music is on fire. 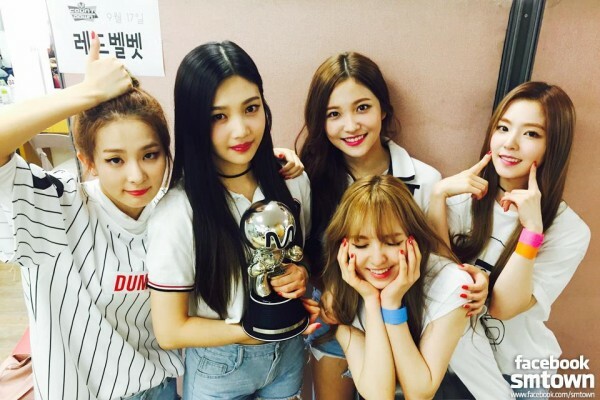 In a recently shared Gaon chart it was revealed the girl group's music was the most downloaded in 2015. The group debuted in August 2014 with their single "Happiness". The quirky song and video was well-received, albeit with some controversy surrounding the "rising sun" flag, which appeared in the music video. Girls' Generation took the 2nd spot. Despite being more well-established, the controversies in 2015 seems to have taken a toll on their popularity. The number 3 spot was nabbed by rookie group GFRIEND. Their viral video performance of "Me Gustas Tu" spiraled them into the limelight.